This purpleosier willow cultivar is a compact, rounded, deciduous shrub which typically grows to 5′ tall and features attractive purple stems. 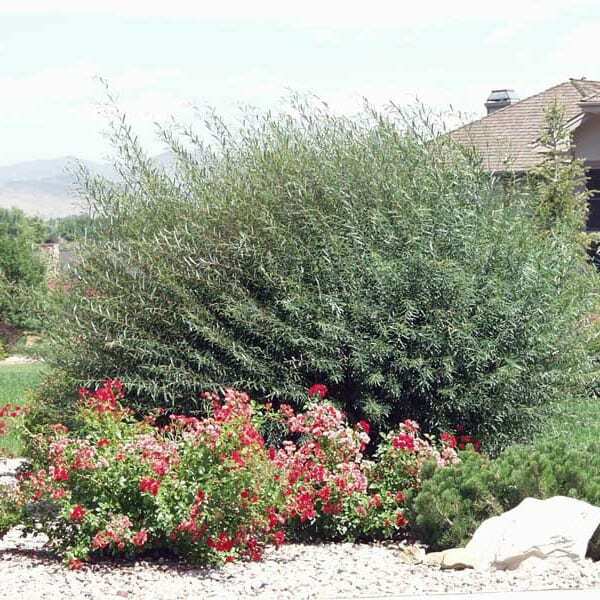 Often best grown as a 2-3′ tall, clipped shrub. Very narrow, blue-green leaves (to 4″ long). Dioecious. Grayish-white male and female flowering catkins (1 inch) bloom in early spring before the foliage. Slender and supple twigs can be used to make baskets.